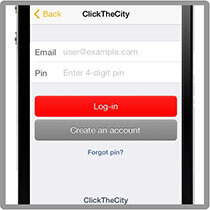 For users who have the ClickTheCity App on their phone but haven't created a ClickTheCity Account, register now to access Privileges and Mobile Ordering. 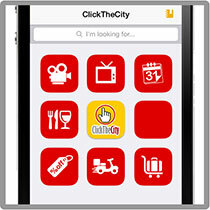 Step 1: Open your ClickTheCity App and click on the ClickTheCity logo in the middle. 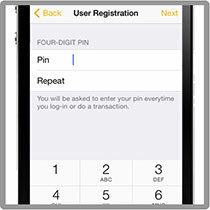 Step 3: Complete the registration details and create a PIN. 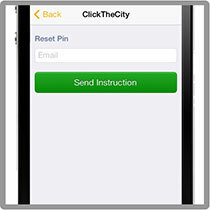 Step 4: Click 'Register' and wait for the verification email. Click the verification link to activate your account. 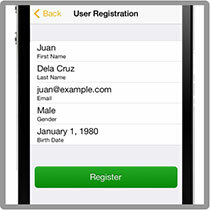 Step 4: Input the email address used for account registration and click 'Send Instruction.' Wait for the email with Reset PIN link.